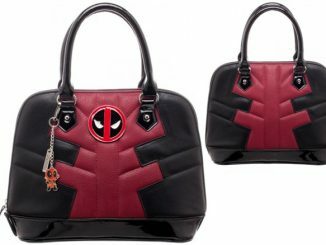 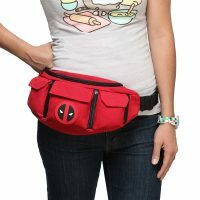 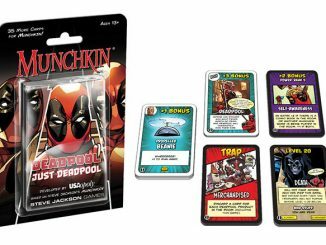 This Marvel Deadpool Fanny Pack has 4 pouches: 3 small with flaps and magnetic closures + 1 large with a zipper. 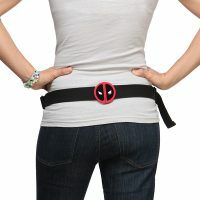 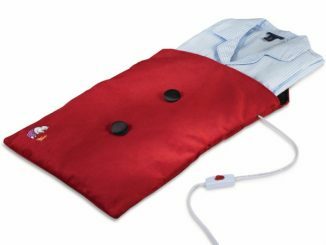 The belt adjusts from 41″ to 60″. 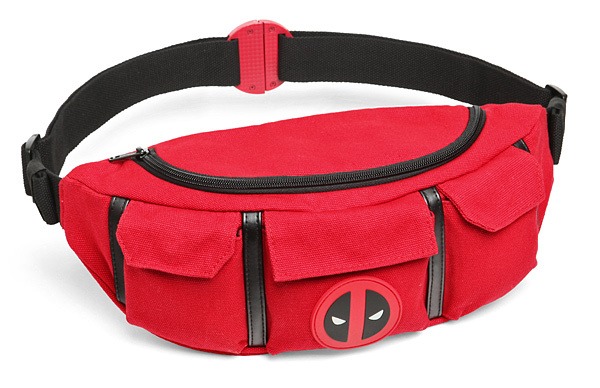 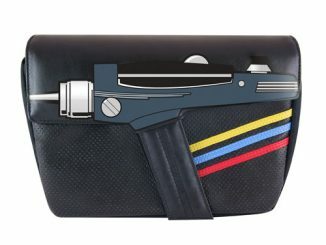 The merc with the mouth is now a handy fanny pack. WARNING: The clasp on this thing is TERRIBLE. 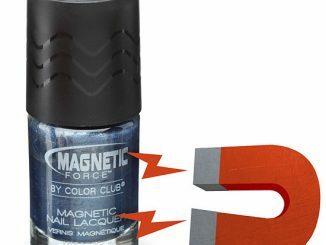 It falls off constantly. I fixed this by replacing it with a professional-grade buckle. 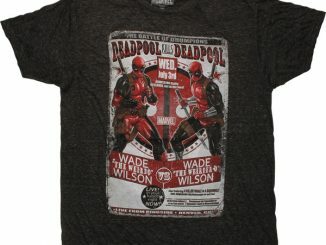 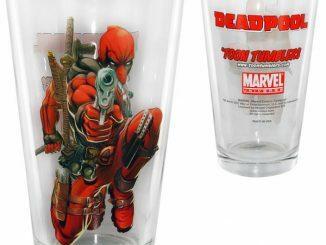 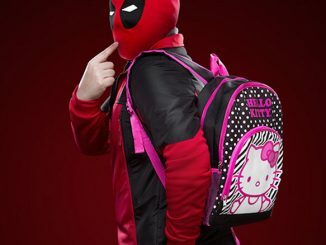 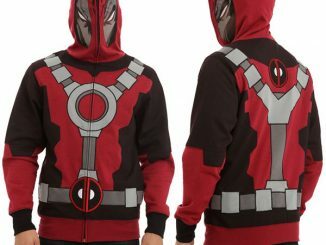 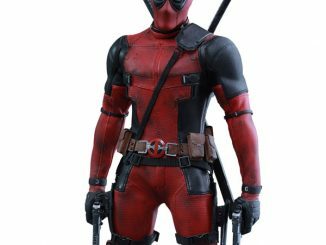 (The split Deadpool face can be left on the strap as ornamentation.) 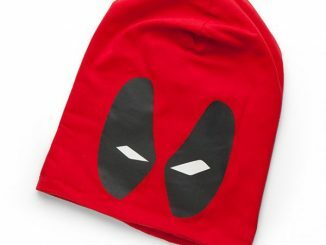 Be prepared to have to do some manual upgrades to make this thing actually stay on you.